We live in an age in which unhappiness, depression, stress and anxiety are everywhere. We struggle with things like bad relationships, work pressure, low self-esteem, worry and helplessness. The list is endless, because everyone is unhappy for different reasons. Whatever the causes of your unhappiness, this book will lay out a way of looking at yourself that can transform your psychology and behaviour. You can achieve this not by starting with your unhappiness and trying to eliminate it but by starting with your natural happiness and cultivating it. So often, emotional well-being is relegated behind things like personal wealth, work commitments, and your daily list of things-to-do. 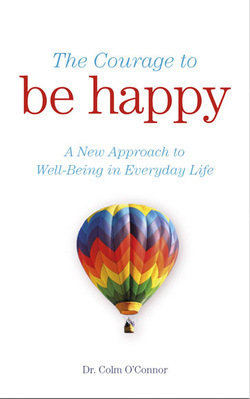 Presenting the ‘why’, ‘what’ and ‘how’ of happiness, Colm O’Connor will inspire you to take your emotional well-being seriously and show you how to build essential happiness-enhancing disciplines into everyday life. In showing how we need to ‘do happiness’ rather than how to ‘get happiness’ you will discover a new way to help you awaken your innate happiness, strengths, purpose and well-being in a practical way. Inside you will find a list of the 21 things that are essential for happiness, the 15 principles of happiness, and a 21-Day method that is easy to integrate into daily routines.